This amazing home with a heated pool and spa, detached guest/pool house and summer kitchen make this vacation retreat a must see. 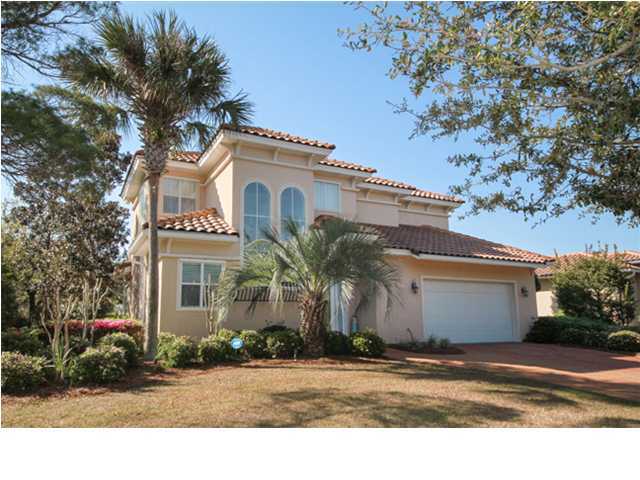 Located in the gated community of Gulf Place along Scenic 30A, this home is ideal for a vacation getaway and will be sold furnished. The first floor has an open floor plan, which is great for entertaining and family get togethers. 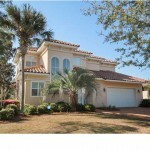 The updated kitchen has granite counter tops, custom cabinets and enough space to whip up a feast on family vacations. 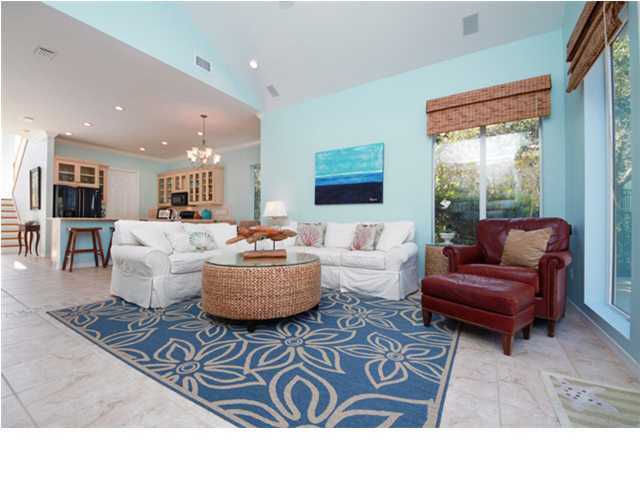 The vaulted ceiling in the living room allows the warm Florida sunlight to pour into the space. Custom built-ins provide space for the TV and all the electronics in the living room. The master bedroom is on the first floor as well. The adjoining master bath is complete with dual vanities, soaking tub, separate shower and walk-in closet. The living room and master bedroom both open to the private, fenced patio/pool area. The heated pool and spa highlight this home. There is a dining nook underneath a tree for shaded dinners and lunches by the pool. The outdoor grilling area is perfect for barbecues. The separate pool house house a pull-out sofa for guests and a flat-screen TV for watching ballgames while soaking up the sun by the pool. 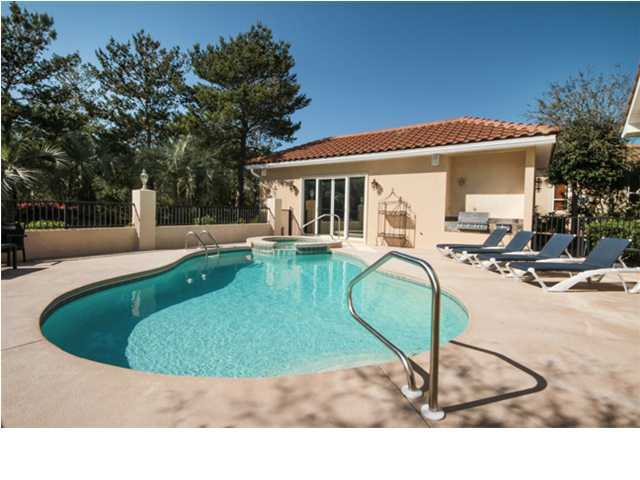 The pool house also has a wet bar with refrigerator and a full bathroom. There is a heated and cooled storage area on the back of the pool house, which can be converted into another bedroom. The second floor has two guest rooms with full bathrooms. One bedroom has bunk beds and would be great for kids. The home has in-wall speakers for entertaining and hurricane shutters as well. The golf cart in the large two-car garage conveys with the sale of the home. Gulf Place is across the street from the deeded beach access, as well as the Santa Rosa Beach Club. Gulf Place Town Center is right down the street and offers a variety of shopping, entertaining and restaurants. Room dimensions and square footage are approximate and should be verified by the buyer.